Railpictures.ca - Jason Noe Photo: Ontario Northland Railway 1800 leads southbound passenger train 122 as it departs Washago on the Bala Subdivision heading to Toronto’s Union Station. The Northlander service between Cochrane and Toronto had only five years remaining before it was cancelled by the Ontario Provincial government in September 2012. | Railpictures.ca – Canadian Railway Photography – photographie ferroviaire Canadienne. 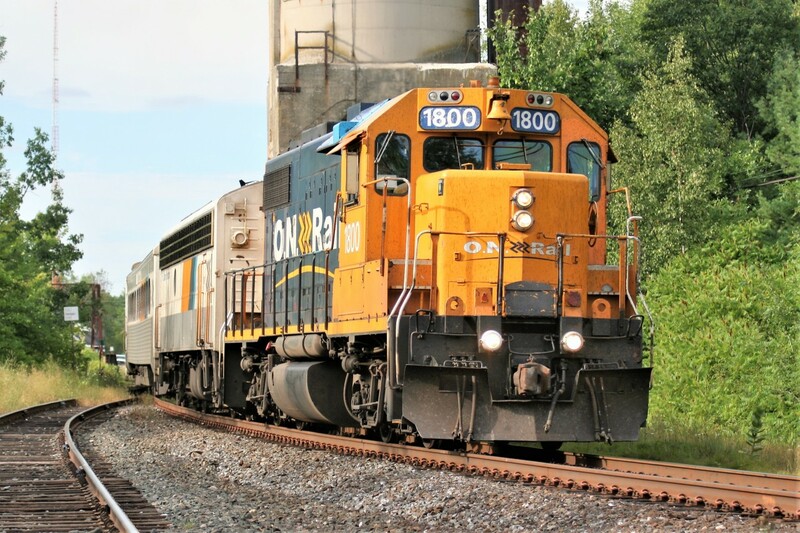 Caption: Ontario Northland Railway 1800 leads southbound passenger train 122 as it departs Washago on the Bala Subdivision heading to Toronto's Union Station. The Northlander service between Cochrane and Toronto had only five years remaining before it was cancelled by the Ontario Provincial government in September 2012.